This came from the husband of a hospice patient who was actively dying at the time, regarding the POLST or Physician’s Order for Life-Sustaining Treatment. Both were strong Catholics and she was a patient at a Catholic facility. Prior to this discussion I had spoken with their daughter about the POLST as he had some questions about it and advanced directives in general. I had provided some information regarding Catholic views on end of life care and decisions and hoped to follow up this visit. As I talked with him I was taken aback, because in my own understanding the POLST could not only reflect one’s intention to refuse certain care at end-of-life, but also to reinforce that one wanted full measures to be taken to prolong life if that was their wish. It seemed like an overreaction to be told not to sign it at all. According to the National POLST Paradigm program, the POLST form was originally introduced as a means to reinforce a patient’s own AD by making end-of-life wishes known as a binding medical order. Oregon was the first to roll out the program in 1991, followed by five other states including Pennsylvania (where I live). As of this writing 38 states have POLST or some derivative (sometimes called MOST or POST) in place. The POLST program seeks to ensure that a patient’s own goals for care are known and respected, that documentation be standardized across settings statewide , and minimize care that may be futile, burdensome, or simply unwanted. But since states began implementing the POLST there has been quite a bit of backlash from groups and ethicists who find many problems with the forms. One of the most comprehensive and detailed critiques I read came from a Write Paper produced by Brugger et. al., a group of physicians, bioethicists and lawyers affiliated with the Catholic Medical Association. They found five main problems with the POLST form and program. 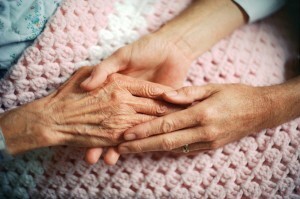 It’s too simple to address the complexities of end-of-life care. It’s completed too soon and may not adequately address ethical issues properly when they arise. Some states do not require a patient’s signature. It doesn’t allow medical practitioners in other settings to act according to what they feel is in the best interest of the patient. Verbiage on the POLST could pressure people away from care that would be medically and ethically necessary. I’m going to summarize my thoughts as well as theirs but I highly recommend reading the full article as it is lengthy and well-written. I simply can’t do it justice in this article. I feel this is a bad example, unfortunately. If a patient is in an emergency situation that isn’t specifically addressed by the POLST, as in Brugger’s choking victim, the default medical response, at least as I understand it, would be to act to aid the victim. This precisely requires the healthcare provider to do what Brugger says they can’t do, which is use their clinical judgment. This does not go against their POLST because that specific situation is not addressed in it. What the POLST does address it addresses broadly and without much insight in to why or in what particular circumstances a treatment should be given or avoided. In that way it does paint with too broad of a brush. However that is it’s intention – to be a quick and broad summary of what to do in very specific situations. One’s AD would be able to further spell out details, but it would be a mistake to assume that a practitioner would reach for the AD before the POLST. It would be very helpful to be allowed to add further instructions to help clinicians understand what role context may play in a given situation beyond what might fit on a single line or 1×4 inch box. However I don’t feel that the POLST, when used and understood correctly, would inevitably result in the situations Brugger sees. If one feels that the POLST doesn’t offer the nuance needed to spell out their wishes, best not to use it at all. It would seem to me that this criticism is valid really only if the POLST has been filled out too soon, which is not the intention of the POLST. This is not a problem with the POLST paradigm, but with professionals who use it. Proper training would eliminate this issue altogether. This criticism would absolutely not be valid if a patient has a terminal condition and is only expected to get worse, not better. To take a “wait and see” approach in these situations often leads to the kinds of turmoil that we are trying to avoid in end of life care: families and doctors arguing over treatment options while the distressed patient’s wishes remain unaddressed or even unknown. Furthermore, this argument assumes that the benefits or drawbacks of a medical intervention are unknowable until it actually happens. I don’t find this to be the case at all. Consider a study that reviewed cases of CPR effectiveness in the elderly. Researchers found that for elderly adults between 80 and 89 who have a cardiac arrest and receive CPR, only about 15% leave the hospital. Even when CPR was successful at the time, many spend days or weeks in the hospital before eventually dying, and those that do leave rarely go back to the level of functioning they were at before. Dr. William Ehlenbach told Reuters Health, “For those patients what we’re really doing is prolonging their death rather than restoring health or restoring life.” To me, this is as much “playing God” as pre-emptively ending life. If I am 80 or older, I am not optimistic enough to place myself in that 15%. The third issue Brugger et. al. brings up, that of patient signatures, has some merit to it. They note that in some states (they cite Oregon as an example) signatures are optional rather than required. Pennsylvania as well as other states do require a signature of the patient or legal surrogate. It’s difficult to say how big this problem is though, as they only cite Oregon as the negative example and Washington as a positive one. POLST advocates claim that the POLST should be treated as any other medical order, requiring only a doctor’s signature. However critics note that “[h]ospital DNR orders by a physician are inherently contextual, that is, they reflect the actual circumstances of a patient’s overall condition at the time the order is made. POLST orders by a physician are not” (Brugger et. al., p. 114). Eliminating Context: Good or Bad? Another big concern that critics of the POLST see is touched on in Brugger’s prior discussion of the choking patient, which is that the POLST doesn’t allow others to use their own judgment in caring for another. One a POLST is completed a DON, RN, attending physician or even the patient’s POA cannot go against it unless the patient voids it. This is true even the patient moves under the care of another doctor or to a different care environment. In an emergency situation you follow the POLST and then contact the physician. While Brugger et. al.’s criticism does have some teeth, I can say from my own experience that I have seen what too many cooks in the kitchen can do to inhibit good care. I know of med techs at facilities who have refused to give dying patients pain medication because they didn’t want to be the one to “kill them”. Sit in IDT and you will hear discussions about how this doc doesn’t agree with the other doc about whether or not this hospice patient should still get blood testing done on a weekly basis, even when no treatment is going to be done based on the results of the testing. Some physicians require that all medical decisions be made through them regardless of what a hospice or facility medical director might think, while others totally remove themselves from the process. In far too many cases patient care has come down to what the doctor, RN or even the med tech wants, without regard to what the patient feels is in their own best interest. It is this pedagogical “I know what’s best for you” that has made the POLST and other advance directives necessary in the first place. Empirical data concerning how often AD’s are followed is not always conclusive or consistent, but a recent study in Oregon found that having a POLST signed increased an individual’s chances of their end of life wishes being respected. One can argue about whether those choices should have been respected though, but that’s beyond the scope we have here. Does the POLST see Treatment as a Negative? Because the POLST could limit otherwise life-saving treatments and are unable to be questioned by another physician (or even the patient in most cases, they claim) it creates an unacceptable level of risk regarding ethical medical decision making. For example, critics contend that the POLST can be implemented too broadly and push those who are not at the end of life to preemptively forego treatment that would otherwise be life saving. They often point out POLST forms that lead with the notion of “do not treat” rather than to treat, as well as overgeneralized check-boxes that limit or remove any nuance to instructions or setting. Brugger, as quoted in the National Catholic Register, says “You have arguments by defenders that make these documents seem innocent, … But the pressure is always in favor of removal of treatment.” This “pressure” is built in to the form itself, Brugger and others claim, as the list of prescriptives in each box typically begins with a denial of a treatment or action: “no antibiotics…”, “no hydration and artificial nutrition by tube…”, “comfort measures only”. Critics feel that because the list of options begin often with a refusal of action rather than an acceptance of it, individuals would feel pressured to take the first option. There’s all sorts of reasons hinted at for this “push”: the cost of care, a de-valuing of life, the loss of Christian influence in our culture and so on. While these points can be argued I don’t think that something so subtle as an ordering of a list is going to influence a person who is seriously considering what they are reviewing. Given a list of hamburgers I am offered for dinner on a menu I might just take the first one listed, but I would hope that a medical document regarding my end of life care would capture my attention a bit more. My own investigation into the POLST showed me that I really should have been educated more about the uses of it, the benefits and problems that may be associated with it, and how it differs from a typical advance directive than I was. I had initially thought of it mainly as an abbreviated living will, but knowing that it has medical authority associated with it makes me approach it with more seriousness. Brugger et. al. raised serious questions that require diligence and thoughtfulness. Can the POLST lead to moral dilemmas or possibly even prevent life-saving treatments in some cases? I have to say yes, but only when the POLST is completed improperly – most notably before it should be. However if someone feels that the POLST in some way threatens their religious or moral values, he or she in no way should feel pressured to sign one or have one signed against their wishes by a POA. There is little disagreement that at the end of life care that had once been beneficial – artificial nutrition, CPR, intubation – can be a burden instead. When treatments are no longer effective at sustaining life even the Catholic church maintains that they no longer morally obligatory. However exactly where the “end of life” actually begins can be a hazy area. It is clear though that it is probably not in the best interests of a healthy 50 year old to be filling out a POLST saying what treatments they want to decline. But as previously stated, the POLST was never meant for healthy people. When used within its proper context it can be a useful tool to make sure one’s own choices are able to be known and realized at the end of life. The majority of problems are not with the POLST form. It is a tool, and as with all tools they have a proper use and improper use. Hammers make great nail-drivers but horrible alarm clocks. The problem is not with the hammer, but the context and the user. What is clear as well is that there needs to be a lot more education about the POLST, not only for patients but for health care professionals. Facilities cannot and should not push for a POLST if one hasn’t been made, unless the patient falls within that context of nearing the end of life. When and if one is to be completed, there should be a healthy dialogue about the form, what it means, what the choices involve and what the effects of those choices might be. That dialogue can also involve one’s own religious community as well. Finally, it is clear at least to me that the POLST is not categorically counter to life-sustaining treatments. Many of the criticisms of POLST are not new and are often set against any form of advance directive. However many of these criticisms are not based on fact, rather they are based on insinuations, assumptions and uncommon “what if” scenarios. Ironically, going back to that initial response that prompted my investigation, I find that if one believes that keeping the moral teaching of the Catholic church best requires them to require every life sustaining measure possible then the POLST really might be their best friend. After all, the request for “full treatment” is just as binding on the POLST as the request for “comfort measures only”. ***Please note that I am not a professional ethicist: all opinions expressed are my own unless otherwise stated. ← Crossing Divides: Can an Atheist be a Chaplain?